Local authorities in Scotland made a £33.6 million surplus or ‘profit’ from their parking activities in 2013/14, the last financial year for which data is available. This is just higher than the previous year when the surplus was £33.4 million. Data analysed by the RAC Foundation shows that between them, the 32 councils had a combined income from their parking activities – charges and penalty income from on- and off-street parking – of £73.3 million. However the combined cost for councils of running their parking activities was £39.8 million. Once these costs are subtracted from the income then the surplus (or deficit) is left. 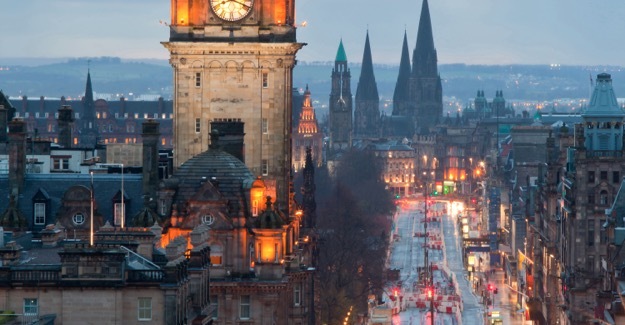 Edinburgh had the biggest surplus (£15.3 million). It was followed by Glasgow (£10.3 million) and Aberdeen (£5 million). Between them these three local authorities generated 91% of the total net surplus in Scotland. The full table is in notes to editors below. The analysis was carried out for the RAC Foundation by David Leibling. The data studied is that which is returned annually to the Scottish government by local authorities. Parking income figures are not broken down into constituent parts so it not possible to know the total number of penalty charge notices (PCNs) issued by councils. However some authorities publish these figures in their annual parking reports. For example Edinburgh issues about 230,000 PCNs each year and Dundee 23,000. Extrapolation would suggest the total for Scotland is likely to be around 700,000 annually. “These numbers tell the definitive story of who is making what from public parking in Scotland. “Not all authorities are generating a surplus but overall we are talking about big money.